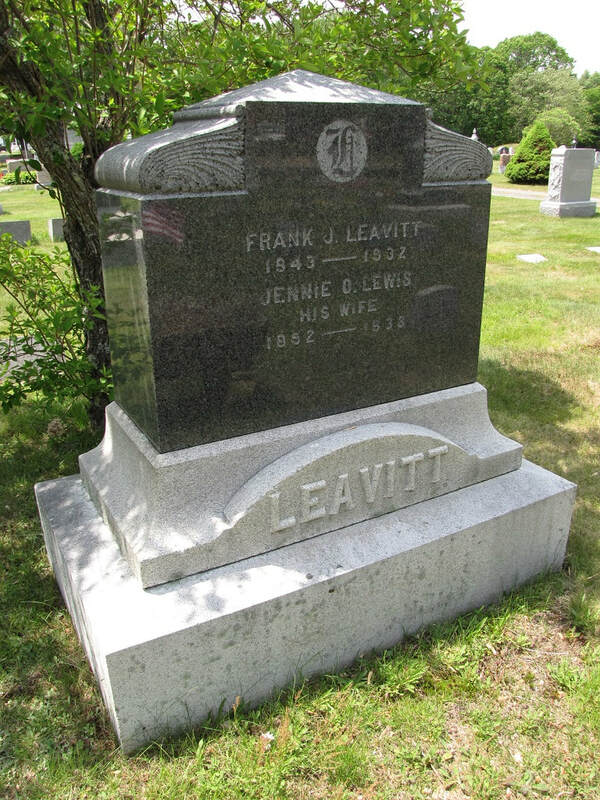 ​This is James Franklin Leavitt, who was a son of Charles C (below). He was a Civil War veteran. 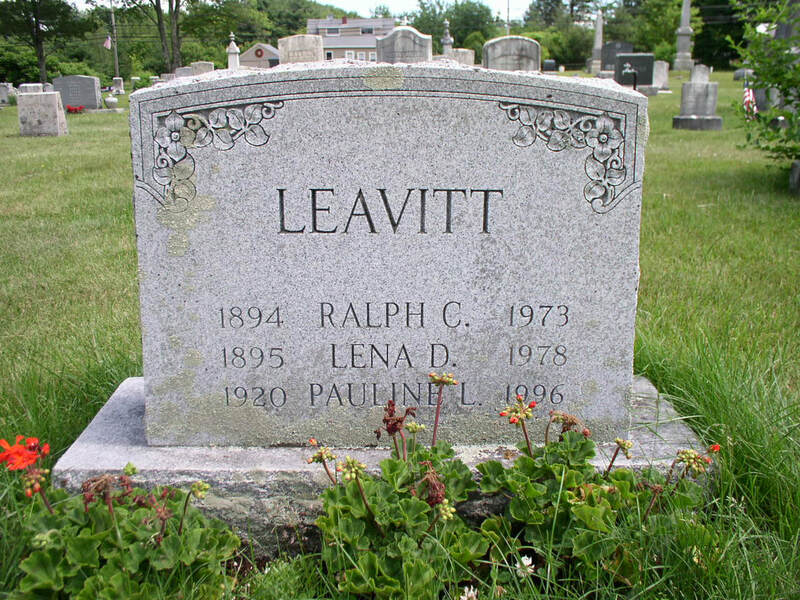 Ralph Clifford Leavitt, son of Joseph B and Victoria (Hill), and wife Lena Dyer. 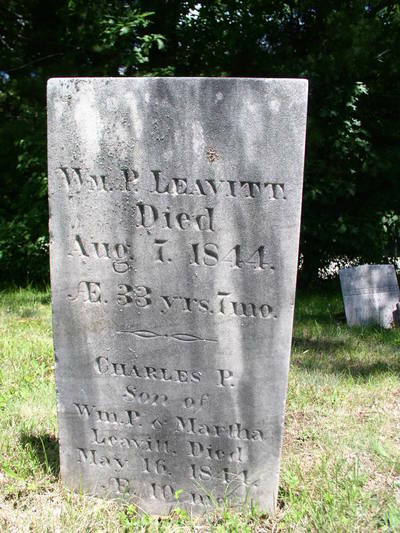 Charles C. Leavitt, d. 15 Aug 1882, aged 68 yrs. 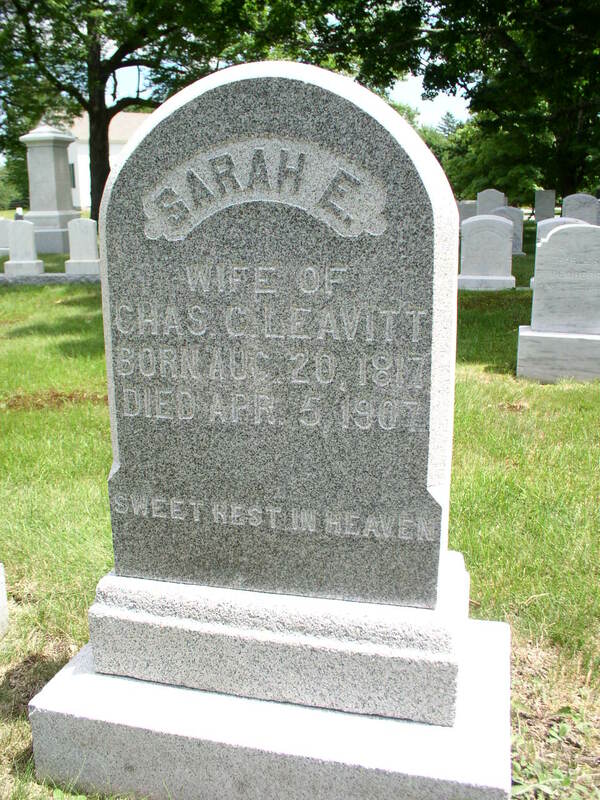 Sarah S., wife of Dea. 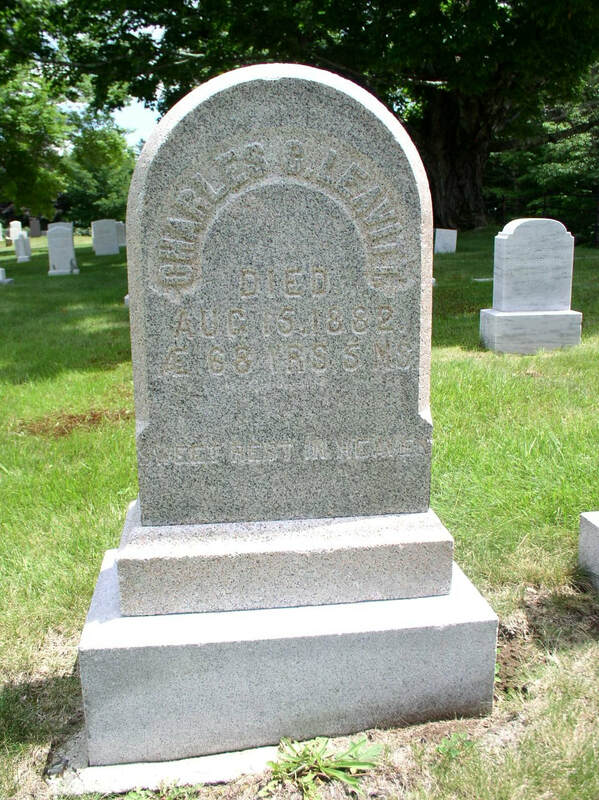 Daniel, d. 7 Jun 1858, aged 53 yrs. 2 mos. James T., son of Daniel and Sarah S. Leavitt, d. 24 Oct 1857, aged 19 yrs. 2 mos. Mark S., son of Daniel and Sarah, d. 9 Apr 1847, aged 6 yrs. 8 mos. Mark J., son of Daniel and Sarah, d. 27 Feb 1849, aged 16 mos. 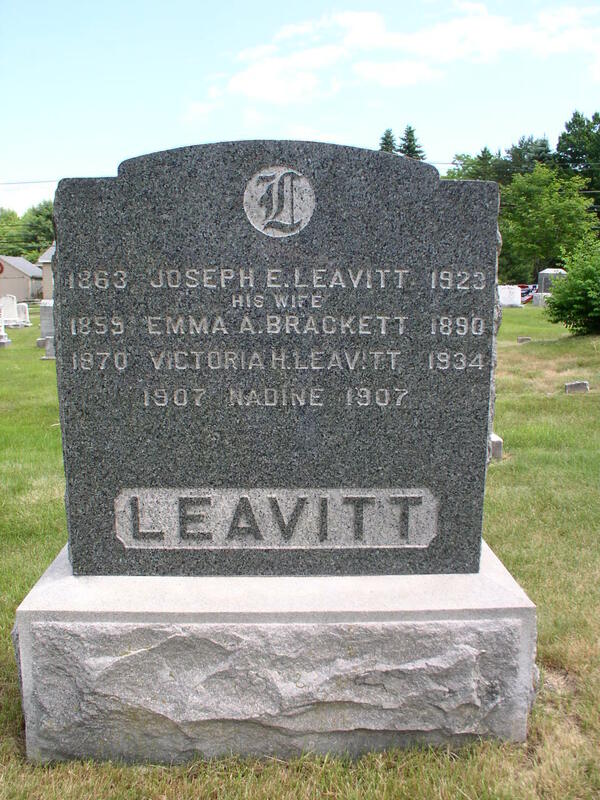 Bradbury Leavitt, d. Dec 1824, aged 55 yrs. 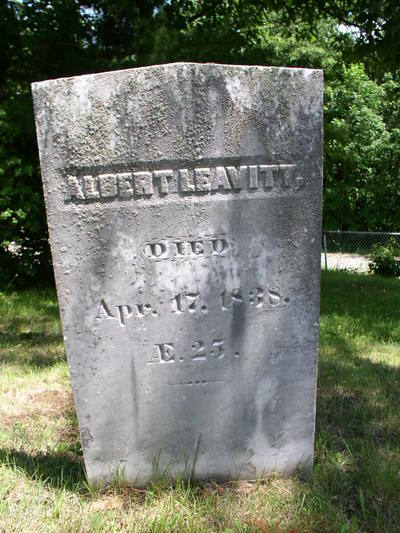 Henry, son of Bradbury and Nancy, d. Aug 1825, aged 9 yrs. 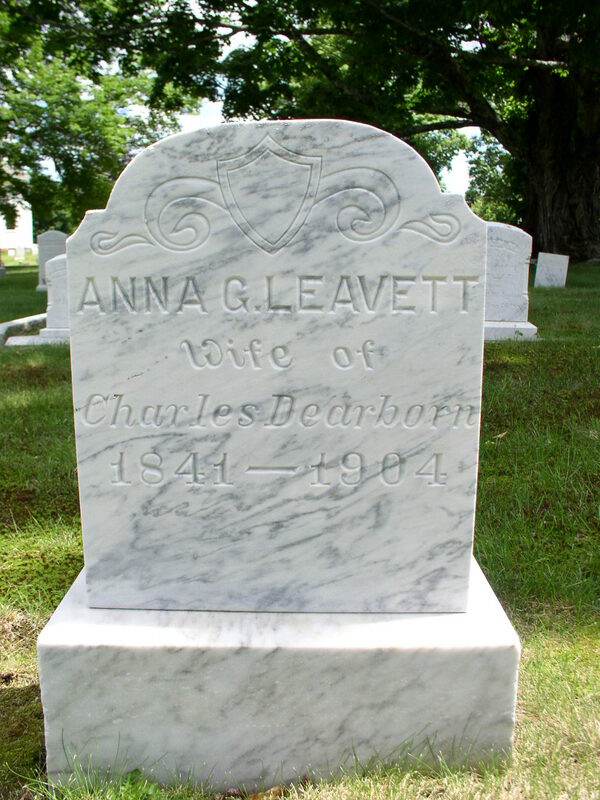 ​James, son of Bradbury and Nancy Leavitt, d. Aug 1825, aged 6 yrs.